The only vehicle worth driving is one that can keep you and your loved ones safe, but with every manufacturer claiming that their vehicles are safe nowadays it can be tough to know who to trust. The trick is to know which features, signs and qualities to look for and here we will take a closer look at those elements that give you a clear indication of just how safe a vehicle really is. Vehicle safety has come a long way in recent years, with high-tech features drastically improving the safety of everyone on board. Electronic stability control, lane departure alerts and even pre-collision braking systems can do wonders to help prevent collisions while comprehensive airbag systems and the use of lighter, stronger materials drastically improve protection if a collision does take place. Voice activation technology has further boosted vehicle safety by making it easier to control many of your vehicle’s capabilities without taking your eyes off the road. All new vehicles undergo a wide range of testing to measure their ability to prevent and deal with collisions and the results of such tests can tell you a lot about just how safe a vehicle is. For an unbiased opinion check out the Insurance Institute for Highways Safety (IIHS), because every year the IIHS conducts extensive safety testing on the industry’s latest vehicles with the best performers named Top Safety Picks. You can tell a lot about how safe a vehicle is simply by reading the reviews of those who own it, as this will give you a good sense of how that vehicle performs under real life conditions. Reviews written by industry experts such as ‘Car and Driver’ or ‘Edmunds’ are also well worth checking out, especially considering that these are written by people who are highly experienced and know exactly what they are looking for. If you are buying a pre-owned vehicle you can tell a lot about how safe it is by inspecting its repair and maintenance records. Keep a particularly close eye out for signs that the vehicle may have been involved in an accident as this can mean there are a range of hidden safety issues that you should be concerned about. While vehicle safety has come a long way over the past few years throughout the auto industry, some manufacturers remain well ahead of the competition and no vehicle is safer than a Toyota. For decades this award-winning auto maker has invested heavily in research and development and continually raised the bar in terms of vehicle safety, so if you are looking for the safest ride possible invest in a Toyota. 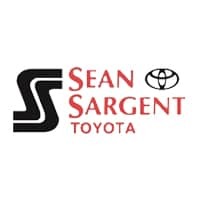 If you are in the market for a quality new or used vehicle this year and are looking for maximum safety, head to Sargent Toyota where you will find a wide range of quality, safe and affordable vehicles. You can view our wide selection online or come by and see it yourself here at 10625 117 Ave Grande Prairie.